TMJ disorder, also known as TMD, is a jaw joint disorder that affects millions of people in the United States. Without treatment you can endure a number of uncomfortable symptoms. However, treatment rarely involves surgery. In fact, there are a number of comfortable and minimally invasive options for addressing this jaw joint issue. 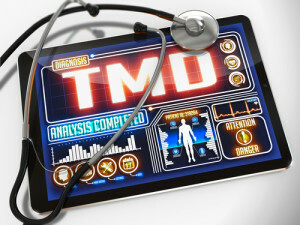 How do you treat TMD? True or False: Multiple factors can lead to TMJ disorder. True or False: The disorder may be related to bruxism. True or False: There are multiple options for treating the issue. True or False: The doctor may recommend an oral appliance. True. The disorder occurs when the jaw joints undergo excessive amounts of strain on one of the joints. Common causes may include injury, malocclusion, and tooth loss. Common symptoms to watch for include sore jaws, a popping or clicking in the jaw, headaches, and earaches. Eventually, the issue can even make opening and closing your mouth difficult. True. If you grind your teeth frequently the pressure on the jaw joints can lead to TMJ disorder. If you grind your teeth you may also encounter tooth sensitivity to hot or cold temperatures, as well as persistent toothaches as the enamel wears down and the teeth endure a greater risk of chips and cracks. True. The doctor may first recommend a series of strengthening exercises to be repeated multiple times a day. Hot-and-cold therapy and the use of anti-inflammatory medications may also be recommended. True. An oral appliance can actually address both TMD issues and bruxism. For TMJ disorder, the nightguard-like device can reposition the jaw to ease strain. For bruxism, the appliance places a barrier between the upper and lower teeth to prevent further damage from grinding. If you have any questions about treating TMJ disorder then contact our office today.